Having finished the latest (maybe final?!) rewrite on the WIP, I’m now free to catch up on my reading. Yay! N.B. This list doesn’t include the books I’ve put on my Christmas wish-list or the pile I have out from the library. Yes, I am a bookaholic, but you guys knew that, right? 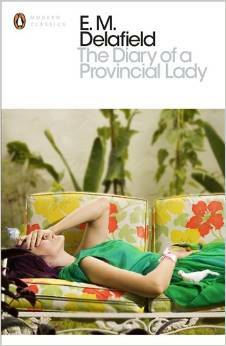 The Diary of a Provincial Lady by E.M. Delafield. I think I heard about this book from Sara Manning on Twitter and, as my obsession with the 1930s continues unabated, I grabbed a second-hand copy with both hands. Good Omens by Neil Gaiman and Terry Pratchett. The fabulous news about the Radio 4 adaptation of this book reminded me that I’m long overdue a re-read. 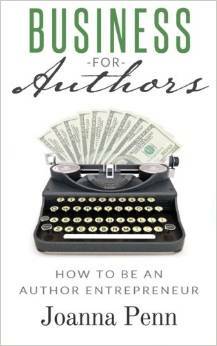 Business For Authors by Joanna Penn. I’ve been freelance for many years and have even run my own company, but I haven’t quite made the psychological switch to treating my fiction writing as a business. I really want to build a career/continue doing this full-time, though, so I’ve downloaded this manual to kick-start my business-planning for 2015. 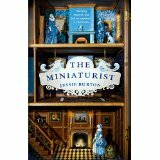 The Miniaturist by Jessie Burton. I missed reading this with my book club because of deadline-hell, but everybody loved it so I’m keen to give it a whirl. I’ve hit one of those points in my WIP when I’m stuck and a bit bored and it seems suddenly pointless and ridiculous, and all I want to do is read good books instead (books which are brilliant and clever and imaginative and, above all, not in crappy first draft stage like my stupid book). 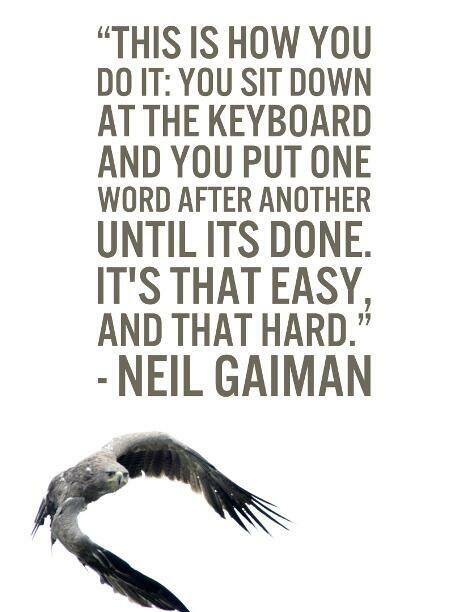 The frustrating thing is that I hit this point (several times times) in every book I’ve written and I can’t seem to avoid it. 1. Unless you’ve been living under a rock, you know it’s been a bad news week. 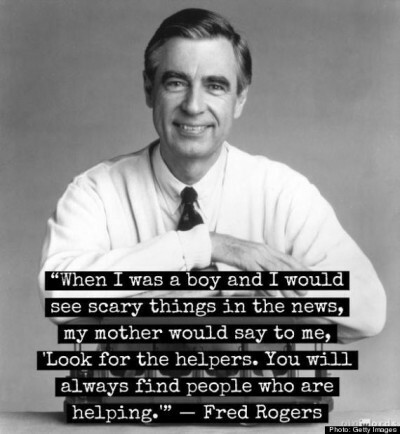 Like many people, I’ve taken some comfort from the words of Mr Rogers (see above). Also, this excellent post about Boston on Bea; Running Into The Smoke. 2. This post by Matt Haig on writer’s neuroses is very good (and, sadly, very true). 4. I know this isn’t exactly new news, but it makes me so happy… Neil Gaiman’s The Ocean at the End of the Lane is out 18th June. Huzzah! 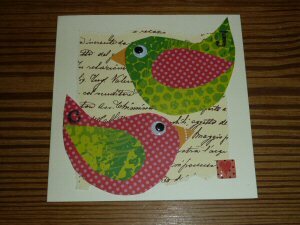 It’s the 10th of January and, thanks to a migraine yesterday, I’m only just easing back into work. I still haven’t written that inspiring ‘new year’ post, finished the short story that I began in December, or pitched for any new journalism. I’ve also realised that the book I was working on before Christmas is dead in the water. I’m feeling a bit rubbish about it, but am telling myself that it was useful to attempt the rewrite. 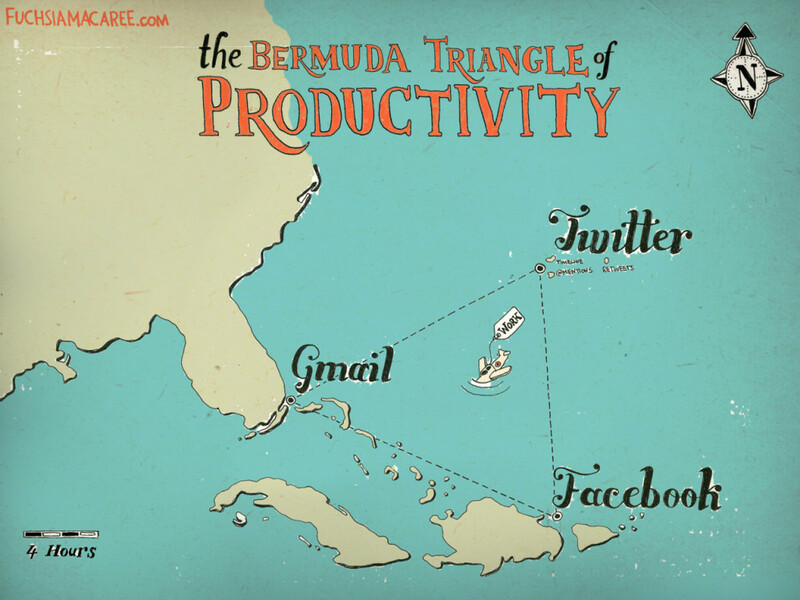 Truly, those hours of work are not wasted. At least I can finally lay that particular book to rest, but it’s also disconcerting to find myself, suddenly, without a WIP. So. Onwards. I’m planning a couple of weeks of free-writing and brainstorming in the hopes that a clear winner emerges from the various half-projects and new ideas I have slopping around in my brain. I want to just dive in (and usually do) as I hate being in-between books. I feel lost and grumpy, but I’m going to force myself to take the time to research, explore and dream. This new year post from Neil Gaiman might help… His wish for 2012 is that we “Make New Mistakes. Make glorious amazing mistakes.” If you’re making mistakes it means you’re trying something new and, most importantly, you’re Doing Something. I adored Marie Phillips’ Gods Behaving Badly. It’s funny, smart, satirical and has the clever and fully-realised kind of fantasy world that I dream of writing myself. Like Harry Potter or much of Neil Gaiman’s work, the book is set in our reality but with a twist. It’s a world in which the Greek Gods (having fallen on hard times) live in a house-share in London. I’d heard that it was being made into a film and today I saw the casting news. And it is awesome. 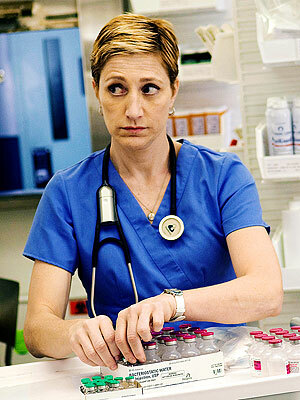 The list includes… Alicia Silverstone, Oliver Platt and the brilliant Edie Falco. 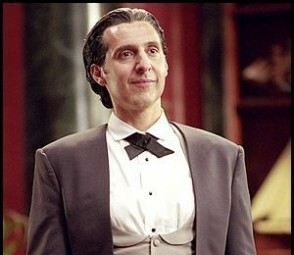 Coen brothers’ favourite John Turturro. 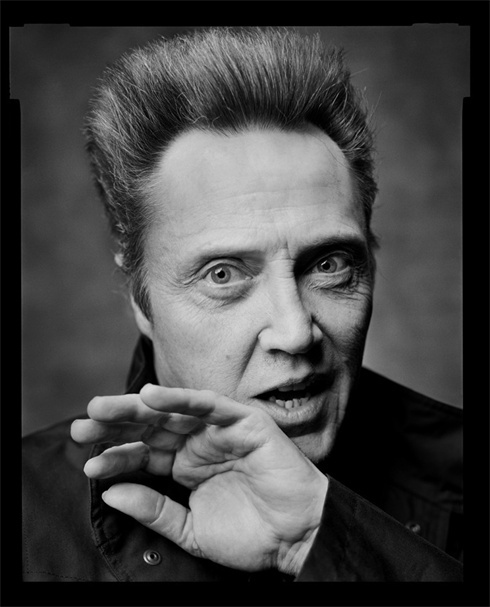 And… Wait for it… Christopher Freaking Walken as Zeus.